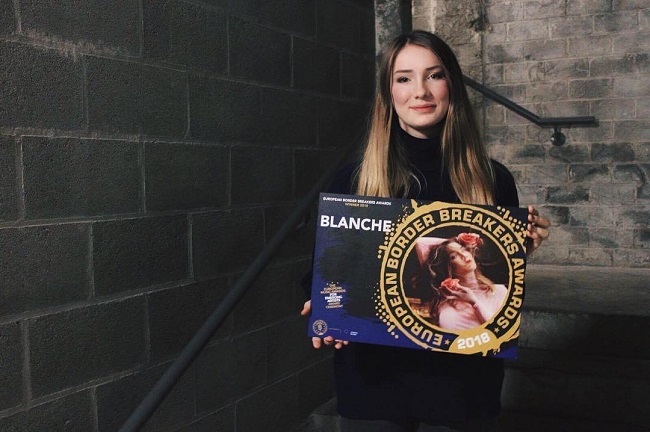 It has just been announced that Blanche, who represented Belgium at the Eurovision Song Contest in Kyiv year, securing the second 4th place for her country in just 3 years, has been awarded a European Border Breakers Award! Other winners of the same award that have participated in Eurovision as well are Helena Paparizou (received an EBBA in 2007) and The Common Linnets (won an EBBA in 2015). Tiziano Ferro, Icona Pop, Zedd, Dua Lipa and Adele. So far 3 other EBBA winners have been revealed and those are the band Off Bloom from Denmark, Skott from Sweden and Alice Merton from Germany. ESCBubble wishes to congratulate Blanche on this achievement! Familiar faces at the 2017 MTV Europe Music Awards! Bulgaria opens search for 2018 entry!